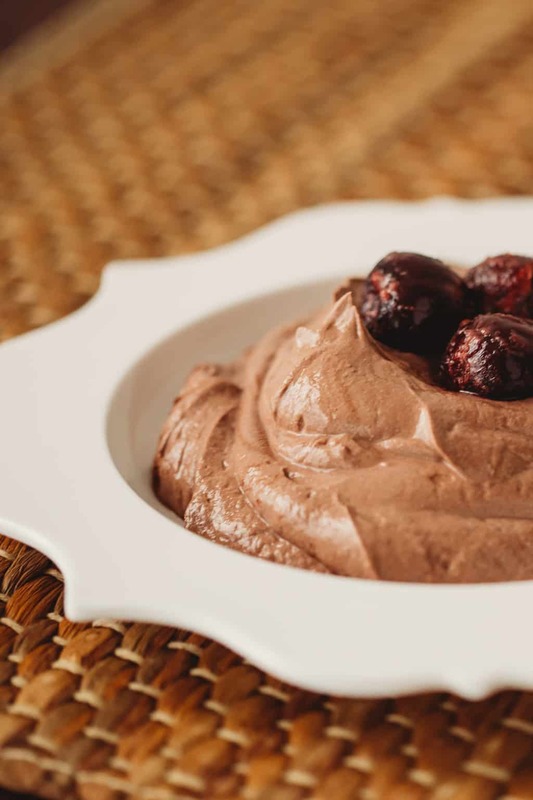 This five-ingredient Chocolate Cherry Yogurt Bowl is a delicious, sugar-free recipe. It’s great as a breakfast, lunch, snack, or dessert! 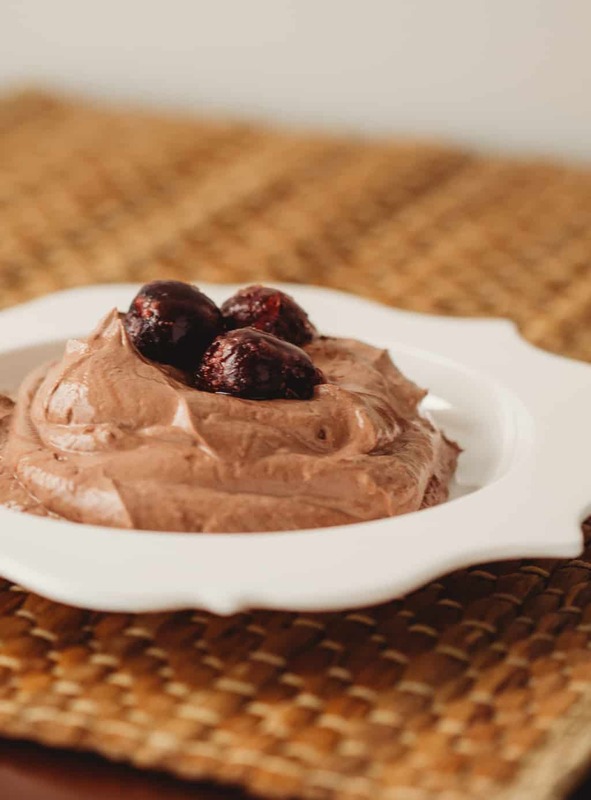 I’m always on the lookout for a quick and easy meal or snack idea, and my Chocolate Cherry Yogurt Bowl is just that! I know you’ve heard this before, but it’s worth repeating: breakfast is the most important meal of the day. You want to get your metabolism revving fairly quickly after you wake up. The longer you wait to eat, the longer your body waits to burn calories: it’s still trying to conserve your energy. If your mornings are anything like mine, then you’re BUSY from the time your feet hit the floor. So grab something that’s quick to prepare and put your metabolism to work right along with you! It was one of those mornings when I first put together this recipe. Let’s just say I was really craving some chocolate! 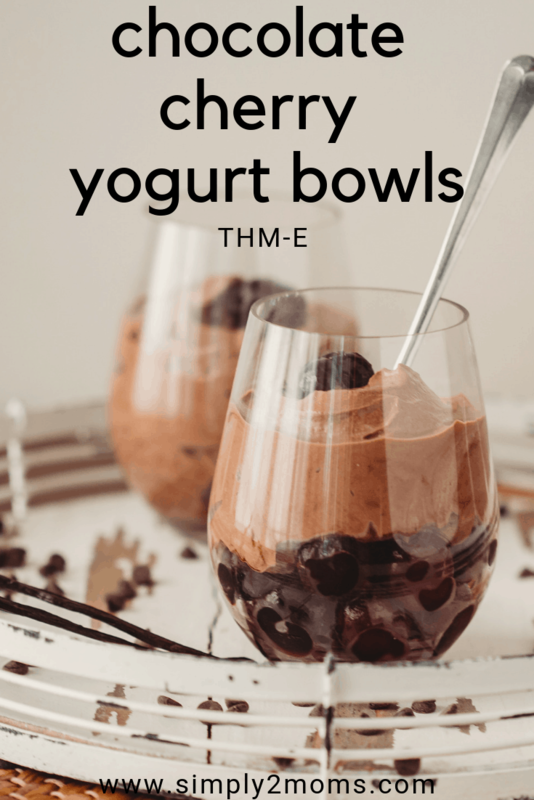 Since then, a Chocolate Cherry Yogurt Bowl is one of my regular breakfasts or afternoon snacks. For those of you following the Trim Healthy Mama way of eating, this is an E meal. Add all ingredients except the cherries to a mixing bowl. 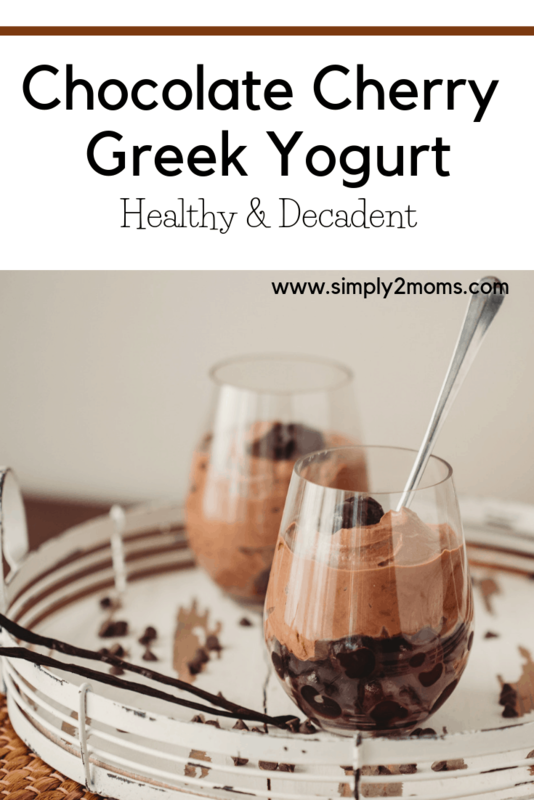 I use Fage plain Greek yogurt because I love its texture! Generally, Greek yogurt is thicker than other types of yogurt, but Fage is the absolute thickest. That consistency makes this recipe feel decadent: it doesn’t feel like you’re eating something that’s fat-free! It’s also got the best, smoothest flavor (to my taste buds, anyway). Another benefit to Fage’s nonfat Greek yogurt? Only 7 grams of carbs. Mix everything up until it’s nice and smooth. You want the cocoa powder to be fully blended. 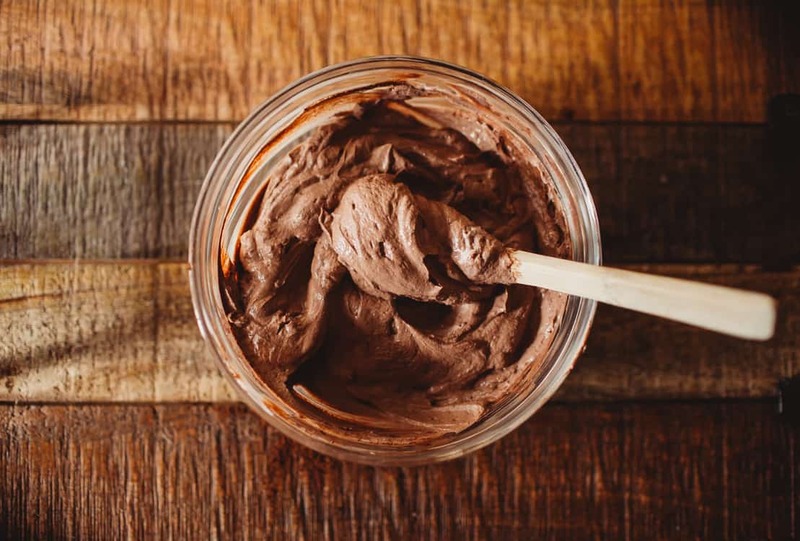 Give it a taste and make sure it’s chocolaty enough and sweet enough for you. But remember the cherries will add a fair amount of sweetness so you may not need to add as much sweetener as you think. Next, go ahead and add the frozen cherries! When selecting frozen cherries, be sure to check the carb count per serving. It’s important that you don’t have more than 45 grams of carbohydrates in an E meal when following the THM way of eating. The cherries I use have 24 net carbs per 1 cup serving. When you add that to the 7 grams of carbs in the Fage yogurt, I’m well within the 45 gram carb limit. Some cherries are naturally sweeter so they have a higher carb count. If your cherries have a higher carb count, you may need to adjust how many you add to your serving. I love the way the yogurt sticks to the frozen cherries. If you let it sit for a minute or two, the yogurt actually will crystallize and freeze a bit! If you prefer, you can let your cherries thaw, but I’m usually in too much of a hurry in the mornings. You can stop here and just devour your Chocolate Cherry Yogurt Bowl like this, or stir the cherries into the yogurt. 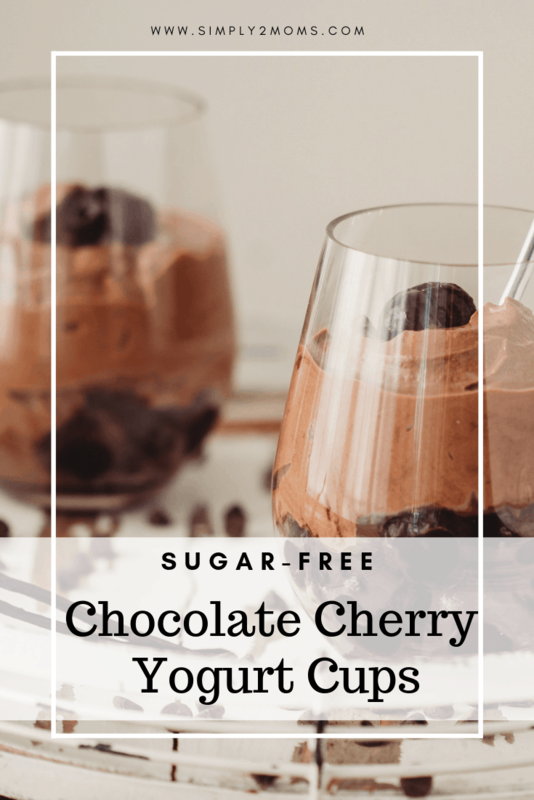 If you’re making these Chocolate Cherry Yogurt Bowls as a dessert, try layering the cherries on the bottom and top them with the chocolate yogurt. It makes such a pretty presentation in a stemless wine goblet! The only thing as delicious as chocolate and cherries is chocolate and berries! 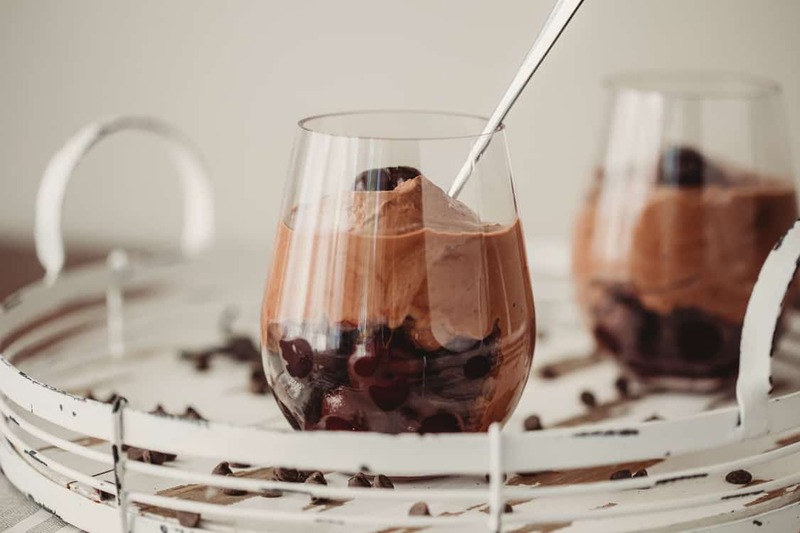 You can substitute raspberries or strawberries for the cherries in this recipe for a delicious twist. So there you have it: a decadent AND nutritious meal or snack that’s ready in minutes with less than 5 ingredients. Let me know how you like it in the comments, and be sure to give it a star rating! 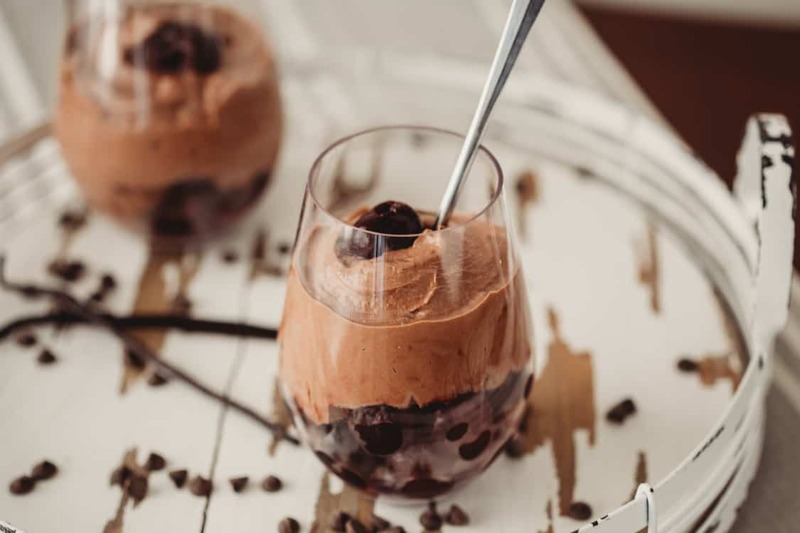 Chocolate, cherries and Greek yogurt make a decadent and easy protein-rich treat that's perfect for breakfast, lunch, snack, or dessert. Add all ingredients except the cherries to a mixing bowl. Stir until it's nice and smooth. 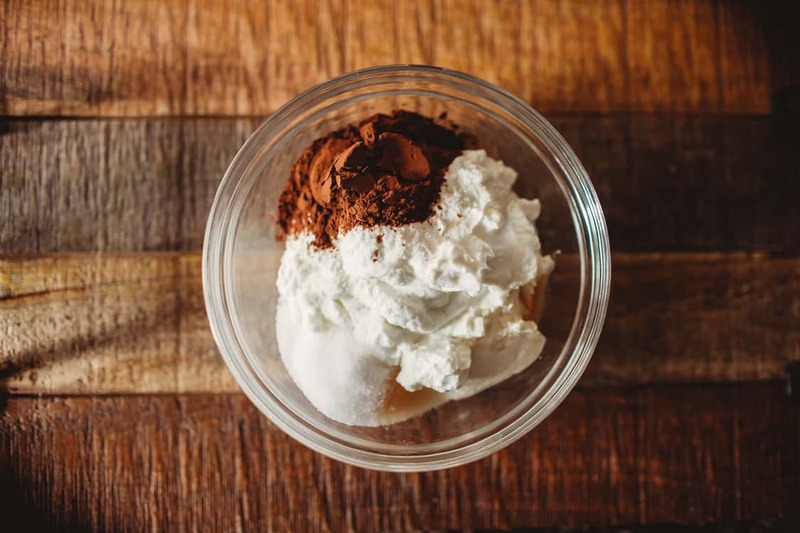 Give it a taste and make sure it's sweet enough for you, but remember that the cherries will add a fair amount of sweetness so you may not need to add as much sweetener as you think. Add the frozen cherries. You can stir them in, or layer them with the yogurt. *When selecting frozen cherries, be sure to check the carb count per serving. It's important that you don't have more than 45 grams of carbohydrates in an E meal when following the THM way of eating. 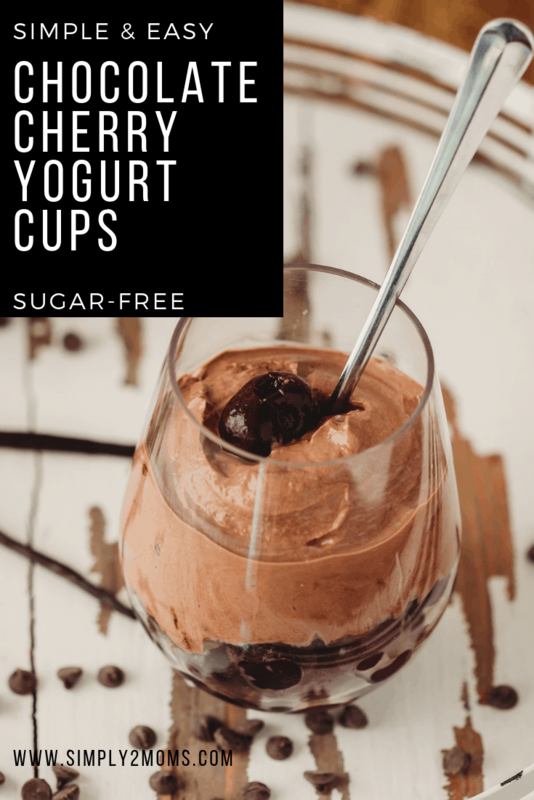 You do not need to include the carbs in your yogurt because that is your protein source, but you do count the carbs in the cherries. Some cherries are naturally sweeter so they have a higher carb count. If your cherries have a higher carb count, you may need to adjust how much you add to your serving. Please note that we are not medical or nutritional professionals. This blog contains our own opinions and experiences and should not be taken as any sort of professional medical advice. Before beginning any new diet regimen you should consult with your personal doctor. We include nutrition information for our recipes as a courtesy to our readers. It is calculated using WP Ultimate Recipe and we remove erythritol and xylitol from the final carb count because that is how THM calculates carbs. 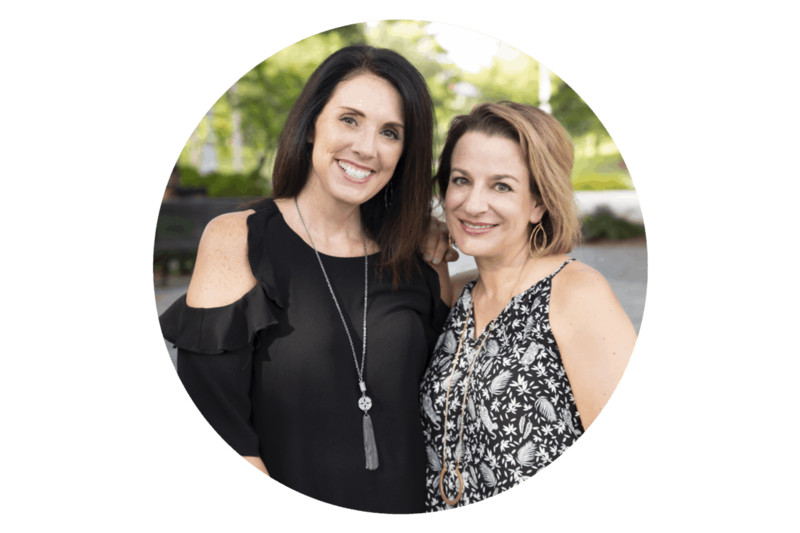 Information provided on this blog is accurate and true to the best of our knowledge but there may be omissions, errors or mistakes because we are human. We make every attempt to be as accurate as possible with the nutrition data supplied but you should independently calculate nutritional information on your own if you have specific dietary restrictions before relying on ours. We expressly disclaim any and all liability of any kind with respect to any act or omission wholly or in part in reliance on anything contained in this website. Sounds and looks great! Gonna make this tomorrow! Already had my bowl of Fage at lunch! Wish all mats carried this brand! Adding the cocoa powder will help my chocolate cravings too! Thanks!